Dr Fahrudin Salihbegović (Nuno) is a theatre director, visual/sonic artist, interaction designer, and lecturer, specialising in multimedia theatre and interactive digital arts. His work, including theatre productions, digital scenographies, and interactive video/sound installations, has been performed and exhibited internationally; in, amongst others: London (Royal Opera House, Tate Britain, Roundhouse, Institute for Contemporary Arts), Cambridge (Cambridge University Concert Hall), Newcastle (Culture Lab), Amsterdam (STEIM), Berlin (La Giraffe), Sarajevo (SARTR), Belgrade (VUK), Novi Sad (Serbian National Theatre), and Bologna (ifsARTS). Dr Salihbegović is the founder and Artistic Director of the Studio for Electronic Theatre (SET) – an international group of artists, engineers, and theorists, dedicated to research, production, and education in the field of digital performance arts and multimedia theatre. Fahrudin has been teaching in higher education in the UK since 2007. In 2016 he was appointed a Senior Lecturer in Drama and Performance and the Course Director in Theatre Technologies at London South Bank University, having previously taught at Cambridge (2007-2008), Brunel University (2008-2009) and University of Greenwich (2009-2016). Fahrudin teaches a number of undergraduate and graduate modules and courses in Theatre Making and Digital Arts, including history, theory and practice. The students’ projects he has mentored include theatre performances and multimedia installations, as well as works in screen-based media and design (short films, interactive video, documentary projects, etc.). 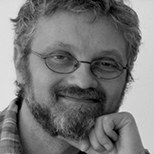 In addition to his academic teaching experience, Fahrudin has also convened courses and taught Master Classes aimed at practising artists and professionals, at the annual workshops and seminars, held in London (Central School of Speech and Drama), Amsterdam (STEIM), Belgrade (University of Arts), Sarajevo (Theatre Academy) and Novi Sad (PVC Teatar). The practice-led component of Fahrudin’s research focuses on the role of the next generation design technologies and physical computing in the theatre making process and live performance. His investigation is both artistic and technological. The technological aspect, which is closely related to the artistic practice, deals with digital tools designed for and utilised in constructing immersive scenographies and responsive environments, i.e. physical spaces (theatre stages and exhibition venues) which interact with the performers and/or the audience. Research involves integrated video projection, machine learning, as well as new display and costume materials (e.g. smart glass, printed electronics and high performance textiles). In his scholarly work, Fahrudin specialise in the history and theory of multimedia theatre, with a particular focus on the twentieth century avant-garde and contemporary theatre practice involving media computing. He has written on the work of, amongst others, Oskar Schlemmer and the Bauhaus Theatre, German political theatre (Erwin Piscator), the multimedia theatre of Josef Svoboda, and the contemporary digital performances of Mark Coniglio, Frieder Weiss and Studio for Electronic Theatre. His book Directing Cyber Theatre, which represents a synthesis of his academic, artistic and technological work in the field of digital performance, was published in 2013 by UNESCO and University of Arts, Belgrade. In it, he offers an overview of the historical development of the idea of multimedia theatre (of which Digital Performance is the latest incarnation) and theoretical reflection on the aesthetics of the use of digital media in performing arts. In the second part of the book, he approaches the subject-matter from the perspective of a practitioner, focusing on theatre-making practice involving media computing. Fahrudin is a peer reviewer for the journals Digital Creativity and Body Space and Technology, as well as the DRHA annual conference. He also reviews for academic publishers (e.g. Routledge). Salihbegovic, Dr F. Studio for Electronic Theatre – Jumping Into the Abyss of Technology. Body, Space and Technology, 14. Fahrudin is the founder and Artistic Director of the London-based Studio for Electronic Theatre (SET), an international group of theatre makers, designers and engineers, dedicated to research, production and education in the field of digital theatre and interactive multimedia arts. SET has established strong links and partnership with the institutions belonging to the cultural sector, creative industries and academia, both in the UK and abroad. The areas of his practice and expertise are directing, digital scenography and interaction design. The projects he directed and designed (with SET and other companies) have been performed and exhibited in, amongst others: London (Royal Opera House, Institute of Contemporary Arts, Tate Britain…), Cambridge (Cambridge University Concert Hall), Birmingham (mac), Newcastle (Culture Lab), Amsterdam (STEIM), Berlin (La Giraffe), Sarajevo (SARTR), Belgrade (VUK), Novi Sad (Serbian National Theatre), Nicosia (Side Streets) and Bologna (ifsARTS). For SET’s productions, research output and educational activities, see www.setlab.eu. Fahrudin is also a Fellow of the Higher Education Academy.